Do prehistoric fossils belong only in a museum or educational center that communicates science to the public? Is it ever right for commercial fossil hunters to sell dinosaur skulls to movie stars for display in their living rooms? 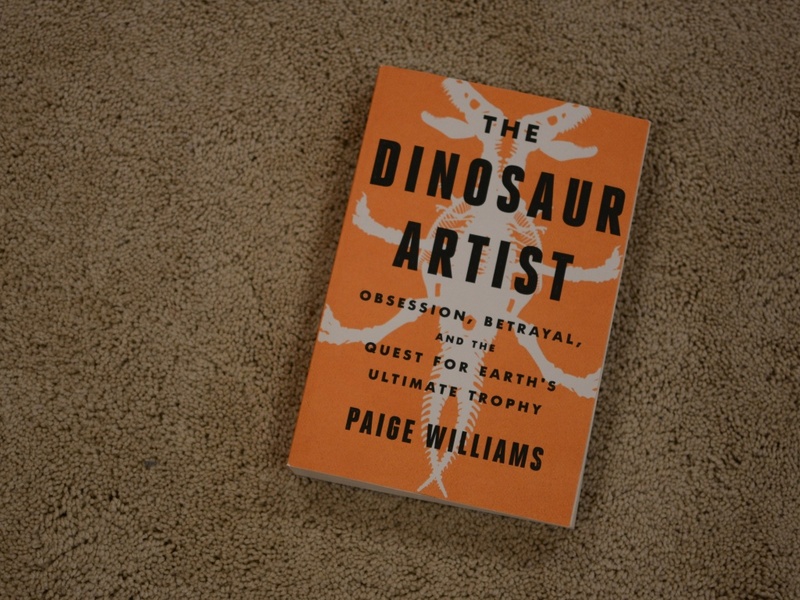 In The Dinosaur Artist: Obsession, Betrayal, and the Quest for Earth's Ultimate Trophy, Paige Williams brings these questions into high relief by recounting the exploits of American commercial fossil hunter Eric Prokopi. Prokopi grew up in "the bone-soaking sear of central Florida," a land rich with shark teeth and other fossils. Finding his first mastodon tooth early on, he soon knew he had discovered his life's work. As an adult, his aptitude for commercial fossil hunting led to a high-end lifestyle for his wife and two children. When Prokopi's debts began to exceed his profits, though, a turning point was reached: He realized that, as Williams dryly puts it, "The big money was in big dinosaurs." In 2006, at a fossil trade show in Denver, Prokopi bought for $18,000 the disarticulated skull of a dinosaur of the spectacular species Tarbosaurus bataar, a massive dinosaur related to Tyrannosaurus rex. Though the skull was 65 percent complete and from Mongolia, on the U.S. customs form, it was listed as "fossil stone pieces" with an origin of Japan (from where it was routed), a deception that hinted at things to come. Prokopi arranged for the skull to go up at auction the following year in New York. What happened next made headlines: After a bidding war between Hollywood stars Nicolas Cage and Leonardo DiCaprio, the skull sold to Cage for $276,000. Before long, Prokopi found himself in DiCaprio's LA home, installing a second skull of the same species for around the same sale price. This high-profile fossil-vying, Williams writes, "renewed scientists' outcry against the sale of vertebrate fossils." For centuries, exquisite tension had characterized the relationship between professional paleontologists who seek fossils for study and display in scientific institutions, and fossil hunters and dealers who seek instead to make big money by selling their goods in trade shows, at auction, or on the black market. Paleontologist Catherine Forster, quoted by Williams, explains how commercial fossil trade harms science: It out-and-out distorts the scientific record, because "scientists must be able to compare new specimens with those previously unearthed." Only through comparison and contrast do researchers gain a sense of evolutionary patterns over time, an opportunity that is lost when key fossils are locked away in homes of the rich and famous. Fossil hunters become indignant at what they hear as ivory-tower talk. Many counter by noting that their activities are legal and bring the excitement of fossils to the masses. "If it weren't for people like me," Prokopi says, "some of these bones would just turn to dust and none of us would ever get to see or study them." Mongolian dinosaurs are at the heart of this debate, and Williams capably takes on the political and fossil-rich history of Mongolia, from its 1911 declaration of independence from China to its 1990 democratic revolution. She highlights the decade-long (1922-1932) fossil expedition to the Gobi, complete with 75 camels and seven cars, led by Roy Chapman Andrews. Andrews was a real-life Indiana Jones of his day who later assumed the directorship of New York's American Museum of Natural History. All these Mongolia-centered sections are strengthened by Williams's one-on-one interviews with major players, including Mongolian paleontologist Bolor Minjin, "on location" in the capital city Ulaanbataar. One 24-ft.-long Tarbosaurus fossil is the book's star. Its story involves Prokopi's own travels to Mongolia, the fossil dealer Tuvshinjargal Maam, the president of Mongolia, another New York City auction of the bones purchased by Prokopi, and surveillance of Prokopi — who eventually becomes suspected of illegal smuggling by the U.S. government. 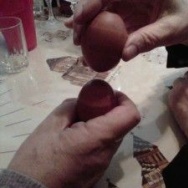 Like the plot of a good novel, this tale deserves its own discovery by readers rather than my summarizing it closely. Taking the point of view of science — a biological anthropologist is writing this review, after all — the most relevant take-home message from the Tarbosaurus smuggling case comes from Assistant U.S. Attorney Sharon Levin, speaking about Prokopi: "He participated in a conspiracy to steal from the people of Mongolia and to make money off of that." That point really is the bottom line, and it is emphasized also by the judge in Prokopi's court case: A fossil hunter should commit himself "to respect the history and patrimony of countries offering that history." The book does have some flaws. It's as if Williams felt compelled to include every last thing she learned through her research, even beyond the 90 dense pages of footnotes. We don't need to know that Prokopi's mother-in law decorated her home at the holidays with "dense arrangements of aromatic greenery and gilded candlesticks." Even less relevant are weight-related comments: Mongolian activist Oyuna Tsedevdamba is "youthful and slim," and auction broker David Herskowitz walks with "his belly leading." More disconcertingly, whenever the Tarbosaurus narrative gathers speed, Williams dumps in a sticky web of new names and facts to keep straight. At one point of real momentum, suddenly we're sent back to 1793 and the life of an English cabinetmaker named Richard Anning. His daughter Mary Anning, a highly skilled collector of invertebrate fossils around Lyme, England, is a compelling figure from the annals of women in science — but overall there are just too many of these jarring time jumps. When the fossils and fossil fieldwork are given center stage, the pages turn fast. Williams writes elegantly on the importance of fossils to science, including to applied work on pressing issues such as mass extinction and climate change. She hangs out with the Prokopis a bit and includes their side of the smuggling story. But from The Dinosaur Artist, we come to see that no fossil hunter should have the right to control who owns these treasures of our planet's evolutionary history.